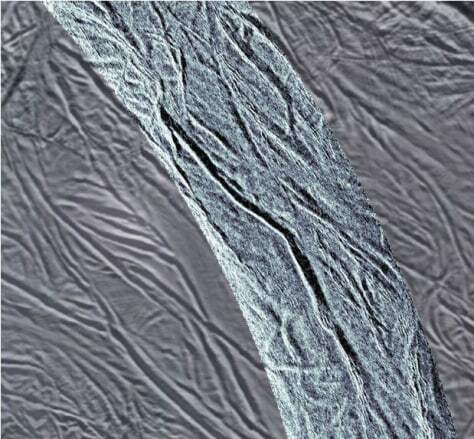 This image shows grooves in the southern part of Saturn's moon Enceladus. The image was created using synthetic-aperture radar (SAR) data acquired by NASA's Cassini spacecraft on Nov. 6. The radar image is overlaid in light blue over an earlier visible-light image.